iPhone 6 plus had a really tough time when #BendGate was trending all over the social media and many other competitive brands came up with mock-ups on Twitter and Facebook. But now it looks like the trend has shifted from Apple to Samsung. 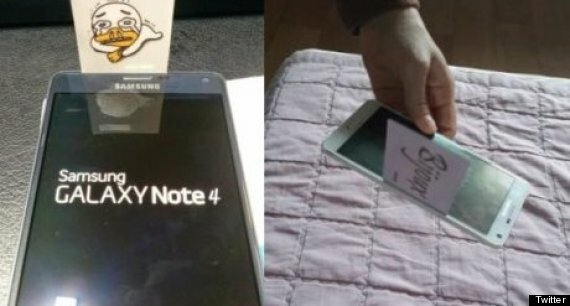 As a matter of fact, Samsung was one of the brand which posted hilarious mock-up on their social media page while the trend BendGate was prevailing. Now, we’d like to hear from you. What do you think of #GapGate? Do you think this news is going to affect Galaxy Note 4 sales in UK which is going to start from October 10.